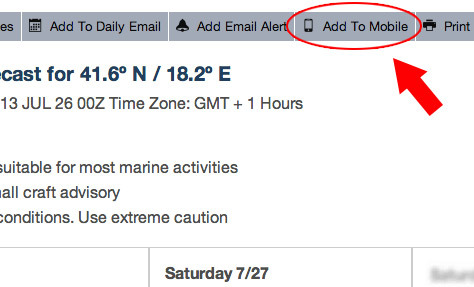 Conveniently access all the marine forecast info you need for any latitude/longitude point -- on your phone! 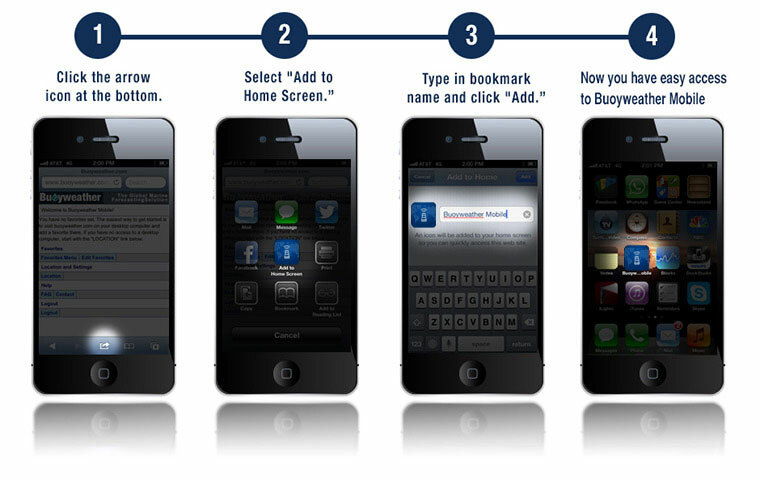 Buoyweather's mobile site is available on all carriers. 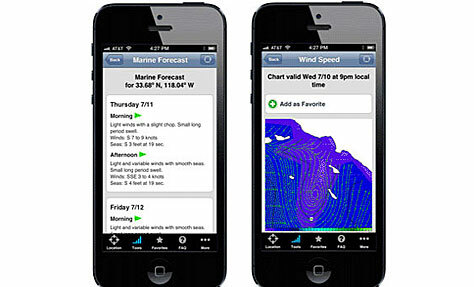 Also, be sure to check out Buoyweather's iPhone App and Android App. 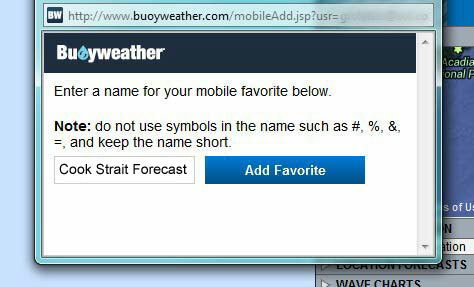 It's as simple as going to any regular Buoyweather.com forecast page on your desktop or laptop computer and clicking the "Mobile (ADD)" button. 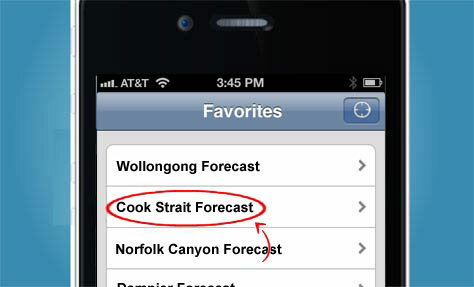 Name the forecast location and click "Add Favorite". This will automatically send the location forecast link to your phone. 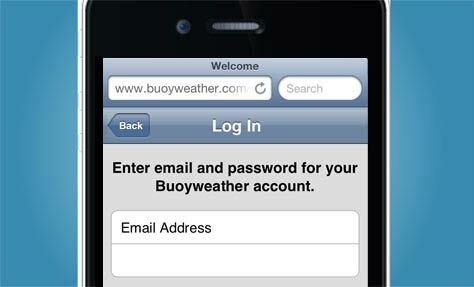 Now enter buoyweather.com/mobile into your phone's web browser and once you are there, click the login button. Your "Favorite" will appear right on the homepage. Continue to add as many favorites as you like, and every time you come back to Buoyweather mobile, you'll have immediate access to the list. Don't forget to bookmark this page to your phone's home screen. Instructions are listed below. Click your "Favorite" spot forecast link above, and all the forecast info for that lat/lon point will appear. Using the website, go to one of your Favorites or pick a location from the menu to your upper left and try it for yourself!